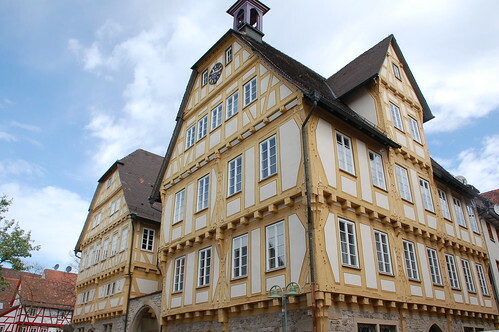 I am spending some time in Germany this summer! 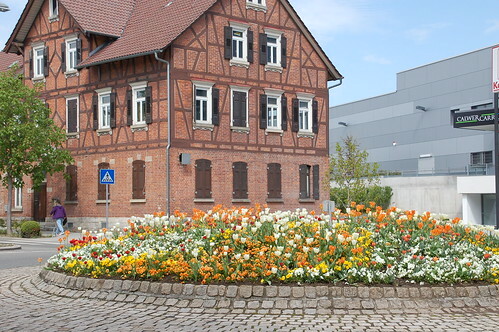 Here are some pictures of a town called Sindelfingen. The weather has been very nice and the tulips are all in bloom. 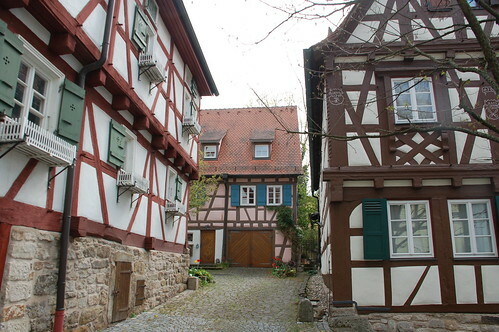 There are a lot of nice, old timberframe buildings. There are tulips everywhere, including the center of a traffic circle. I have seen a few fabric stores and yarn shops but I have only bought some circular needles I needed for a knitting project I brought. Here is a fabric (stoffe) store in Sindelfingen. Great pics. What's considered a new building? Anything under 100 years old?